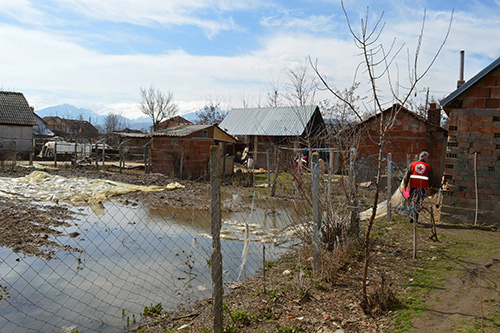 More than 78,000 people in Mogila and other parts of the former Yugoslav Republic of Macedonia were affected by the January deluge. Over 2,400 family homes were inundated or isolated by the floodwaters. In Mogila alone, 2,500 acres of agricultural land were destroyed. Stagnant water continues to pose a health risk to residents. In response, UNFPA, the Red Cross and the Ministry of Health have begun providing humanitarian support to the most vulnerable populations in the region, including women, children, the elderly, and persons with disabilities. Some 1,200 UNFPA-provided hygiene kits were distributed; each of the kits contains enough supplies to meet the needs of recipients for a two-month period. Some 50 families in Mogila received the assistance from UNFPA, the Red Cross and the health ministry. Included in the packages were the UNFPA hygiene kits as well as food. 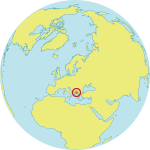 Among them were Zlate Sekirski, his three brothers and their elderly mother. Their home sustained significant structural. More than a month after the deluge, their basement is still flooded. 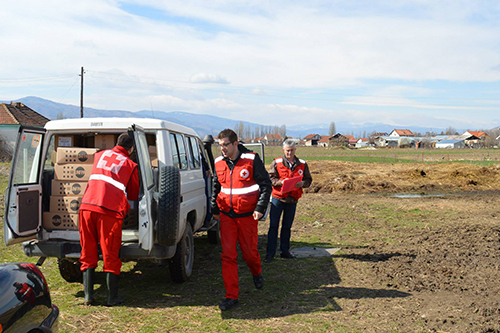 Mr. Nedelkovski also received the assistance. His basement is also still filled with stagnant water, and the stocks of food and drinks he kept there have been destroyed. “The damage done to my house is huge,” he said. UNFPA and the health ministry are monitoring the situation, and will distribute more hygiene kits as needed.